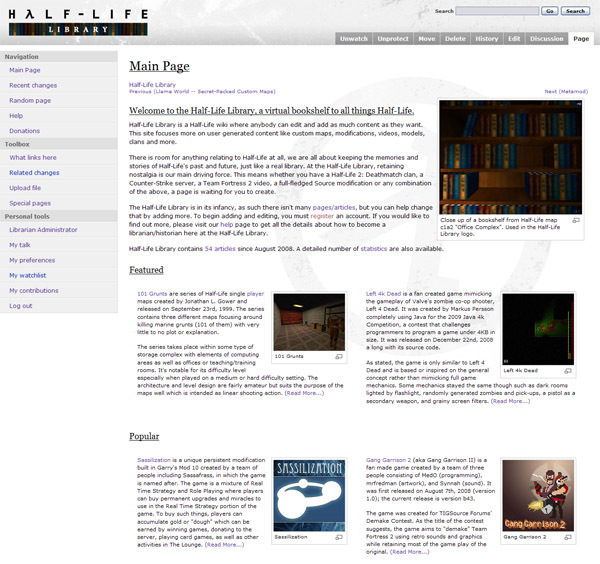 Half-Life Library is a MediaWiki site that I created to archive and write articles about my favourite game of all time. 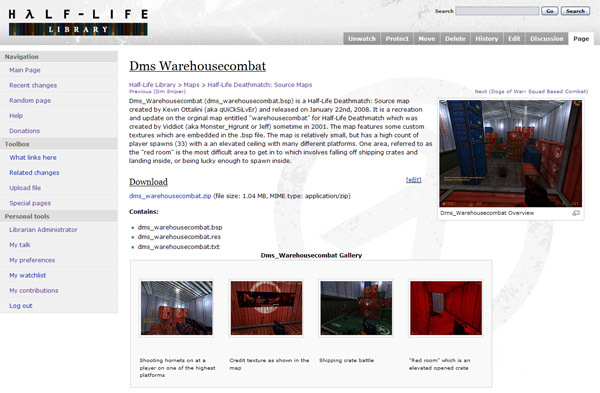 It is a repository to all that is Half-Life, mostly specializing in user-created content such as custom maps, modifications, and more. It is a library is every sense of the word, as the site archives projects and information that are no longer available or sparsely documented/recorded. I get a great sense of satisfaction if somebody that developed an obscure and unpopular plugin in 1999 would stumble upon my site after all these years and see their work featured on my site. A lot of my work is fuled by nostlagia and this is definately no exception. Much like Wikipedia, users can register to upload images, create or edit articles, and have discussions about changes or additions. Also like Wikipedia, the content will countinue to grow exponentially over time. Layout losely based off of Cavendish, a free MediaWiki Skin by Mozilla.